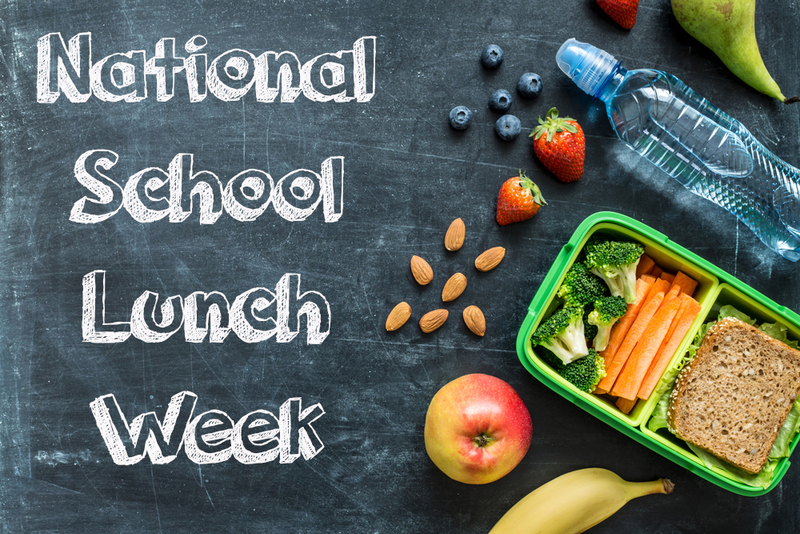 It's National School Lunch Week! This year, El Dorado Schools Food Services Department has undergone a lot of changes - for the better! We are excited to be able to provide breakfast and lunch FREE to every Kindergarten through 6th grade student with applications for free and reduced pricing available to all 7th-12th grade students. You may have also noticed a change in our menus with more fun items that our students love including homemade cookies on Tuesdays and Fridays! "Nutritious, balanced meals are key to meeting our students physical needs so they can succeed in the classroom. Our staff puts a lot of thought and hard work into every meal served. We consider these students like our family and want to make sure they are well fed," said Grace George, Child Nutrition Manager. During National School Lunch Week, our cafeterias will be providing some special treats to students throughout the District at no additional charge to students or staff. To see the cafeteria menus for each day, visit www.eldoradopublicschools.org and go to the Food Services page. Or download the El Dorado School District App. There you can click on Dining in the menu for your school, enter your school name and then choose whether you want to see the Breakfast or Lunch menus. The Dining app will show you the menus for each day, along with nutrition and allergy information.